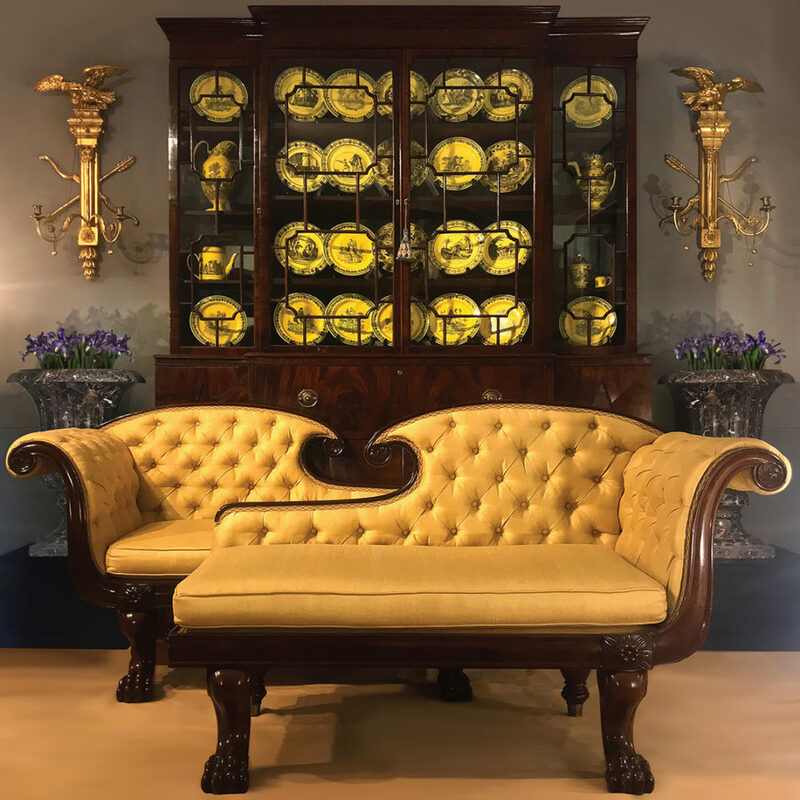 For nearly 30 years, with galleries in New York and Dublin, O'Sullivan Antiques has specialized in the finest Georgian and Regency furniture from Ireland and England. 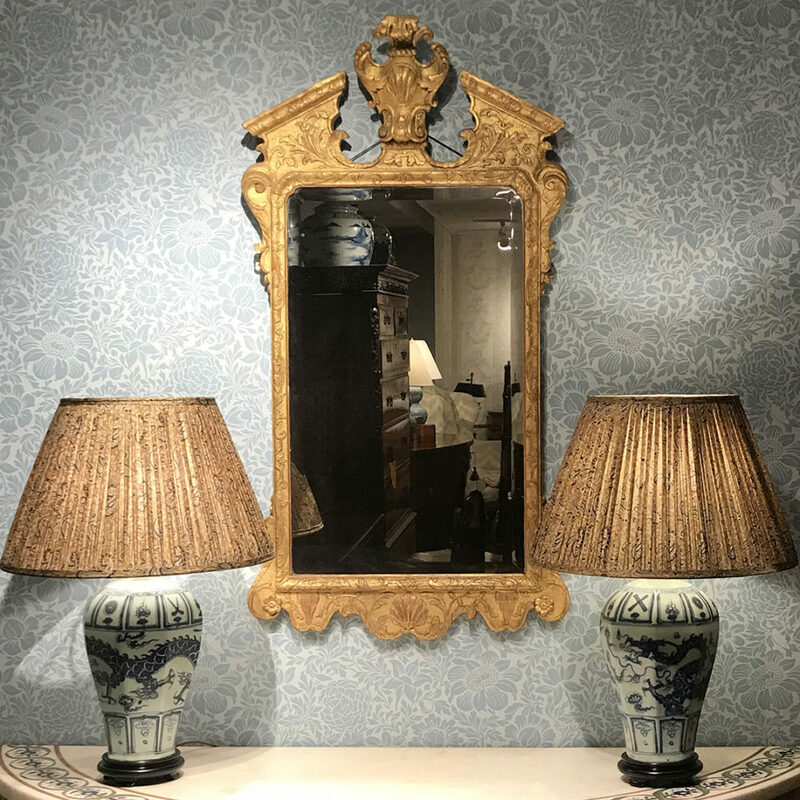 With a vast and ever-changing inventory including of all types of furniture, mirrors, lighting, artworks, and decorative objects, O’Sullivan Antiques has years of experience in dealing and organizing the delivery of goods to any destination in the world. O’Sullivan Antiques is a member of the Irish Antique Dealers Association, the Art and Antique Dealers League of America, and CINOA (the International Confederation of Art and Antique Dealers' Associations). A pair of 1830s fainting couches with paw feet, in front of a circa-1790 mahogany bureau bookcase with glazed doors. 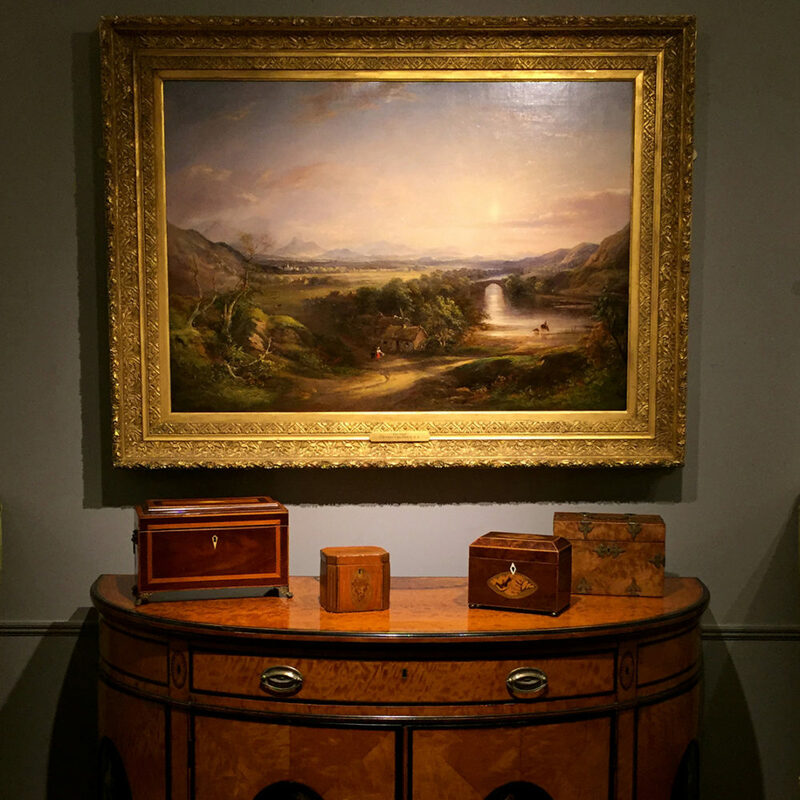 "The Ford," an 1840 oil painting by Thomas Creswick, above an Adam style satinwood commode with handpainted panels. A gilt Georgian mirror, circa 1720, set against David Skinner's "Kilkenny" wallpaper, copied from a circa-1870 paper in Kilkenny Castle.